Two months after Boeing's new 787 Dreamliner was grounded, investigators are still trying to figure out what caused a battery on one of the planes to catch fire. Apex reports that the latest information indicates the battery was never fully tested. Boeing didn't develop the battery on its own. Much of the work was subcontracted out to the firms Thales and Securaplane. The interim report from the Airworthiness investigation team found that while the companies each performed thousands of hours of testing on the battery system's components, none of the companies could produce proof that they'd performed "complete life-cycle tests" on the entire assembled battery system. In other words, nobody put the whole the whole thing together and tried to make it fail. 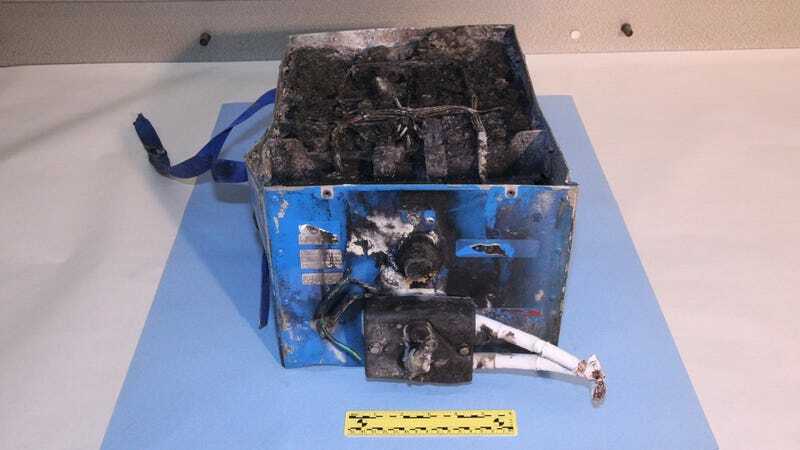 The FAA noted that other users of this technology, ranging from wireless telephone manufacturing to the electric vehicle industry, have noted safety problems with lithium-ion batteries, which included overcharging, over-discharging, and flammability of cell components. Lithium-ion batteries are the same type used in smartphones, which as we know, frequently fail and sometimes even blow up. Boeing installed this risky design change into the Dreamliner without adequate testing. As the author of the APEX story points out on her blog, the safety and certification report has "a blizzard of documents, calculations, schematics and diagrams from Boeing" that would make you think that the tests were complete. The NTSB investigation isn't done, but it's looking more and more like Boeing did a shoddy job and the FAA rubber stamped it. Release of the National Transportation Safety Board (NTSB) interim report is a positive step in the progress toward completing the investigation of the Jan. 7 event in Boston. The Boeing team has worked tirelessly in support of the NTSB to help develop an understanding of the event and will continue to do so. The 787 was certified following a rigorous Boeing test program and an extensive certification program conducted by the FAA. We provided testing and analysis in support of the requirements of the FAA special conditions associated with the use of lithium ion batteries. We are working collaboratively to address questions about our testing and compliance with certification standards, and we will not hesitate to make changes that lead to improved testing processes and products.